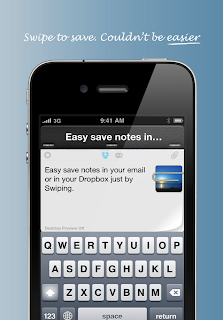 Swipy allows you to quickly capture notes and have them sent to your email or Dropbox with just a swipe. Start typing a note and when you are done swipe the screen. 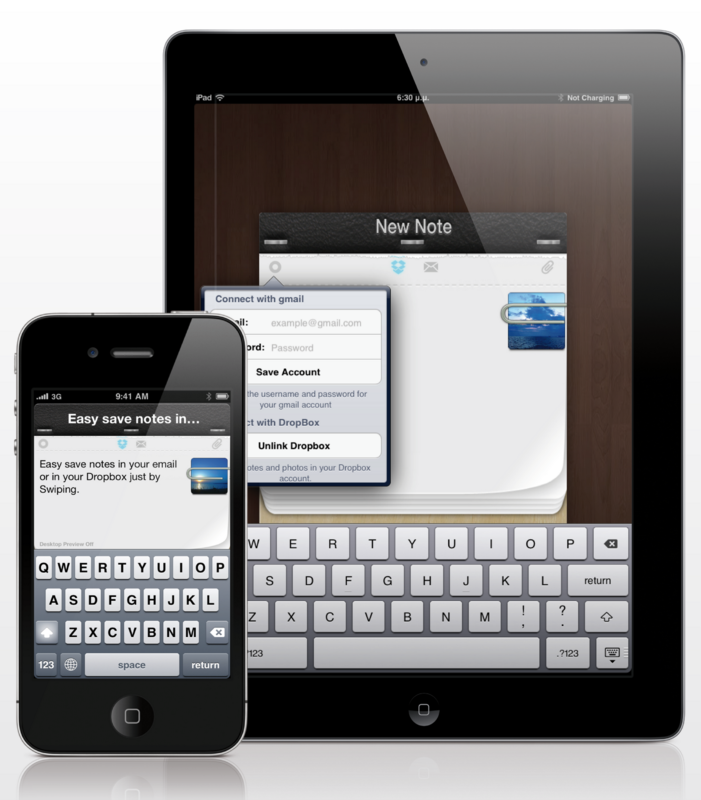 Your note is immediately delivered to your email or to your dropbox. It’s as easy as entering the necessary email and Dropbox information one time, and then type your note and swipe to save. You will be surprised how fast your note is delivered in your email or dropbox. All you need to do is type a note and when you are done just swipe. No more taps! Couldn't be easier. You can activate from the main screen where you want to send your note. 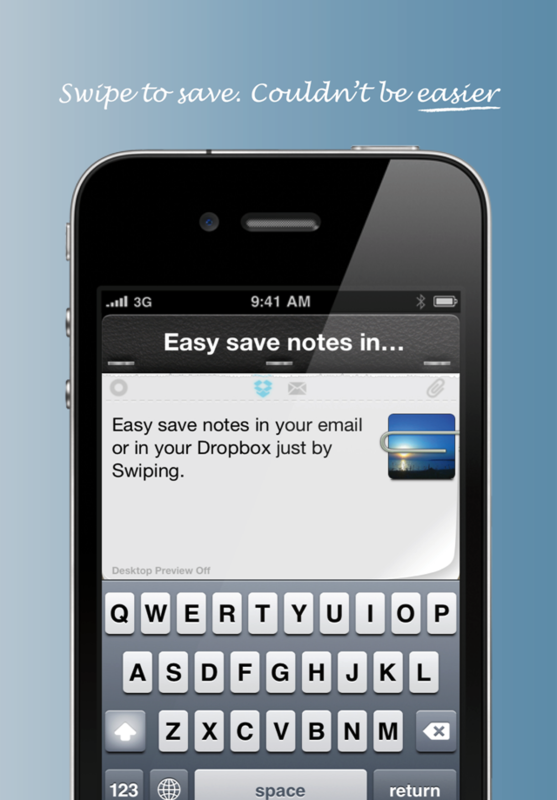 Swipy integrates with Dropbox and gmail. We developed a great utility for Instantly preview your notes,photos or links on your PC. For using this feature you have to download Swipy Desktop Software.